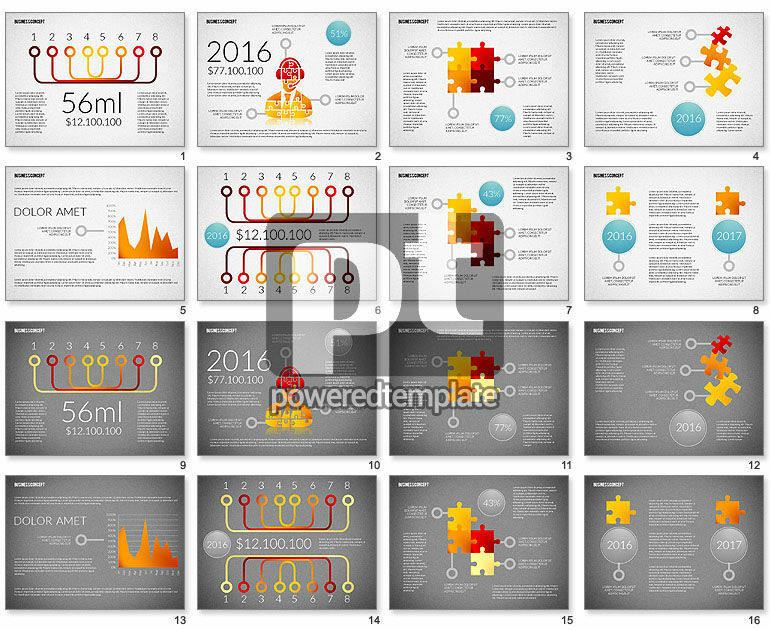 These presentation slides 48749 are complete compatible with Google Slides. Simple download PPTX and open the template in Google Slides. The main idea of this cool template is connection illustrated with the help of puzzle pieces and linked spots on two background variants, light and the dark one. Such a theme will fit various spheres of business, media or network as everywhere you may need to represent kinds of connections, correlations, sequences, dependencies, structures, components of success, stages of development and others.